Just how important is the mouthpiece? The mouthpiece is the engine of the instrument, and is just as important as the instrument - you wouldn't put a lawnmower engine on a Ferrari! Similarly when you're starting out - you will squeak regardless what you play, so it's often best to go with a free blowing generic student mouthpiece and save your money on an upgrade mouthpiece when you are more discerning. 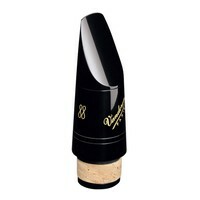 The mouthpiece has to match the player AND the instrument (not to mention the style of music you play!) Everyone's embouchure is different so trying different sizes and profiles (like the Vandoren profile 88 for instance, B45 88 pictured left, standard B45 on the right) is a good idea. The material used in mouthpieces produce different tones, so one of the first questions we ask is what kind of music you play. You can get good mouthpieces that suit a general mix though. Not improving? Change your mouthpiece! You practice - you improve. When you start out you want to make able to make a sound, but as you progress you want to be able to manipulate/control the sound you make. Making a sound out of any instrument is about resistance and as you create strength in your embouchure you will find the need to dial up the resistance. 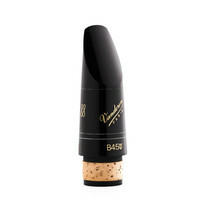 Mouthpiece design is HUGE, we're proud to stock a wide range of brass mouthpieces and woodwind mouthpieces. We're proud to have staff who are experience musicians who can offer personal expert advice and even arrange trials if you're not local. Call 01823 282386 or contact them directly.